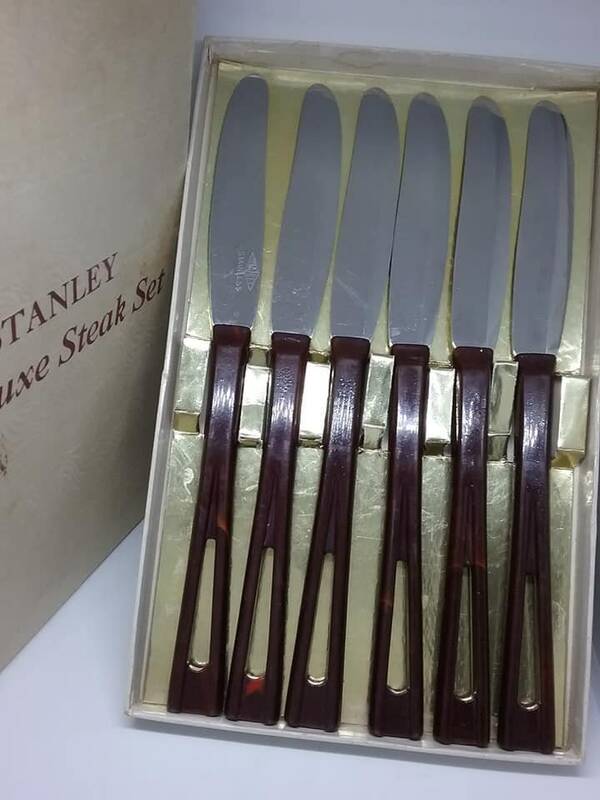 1950's Stanley's Hostess Party gift, deluxe steak knives set. 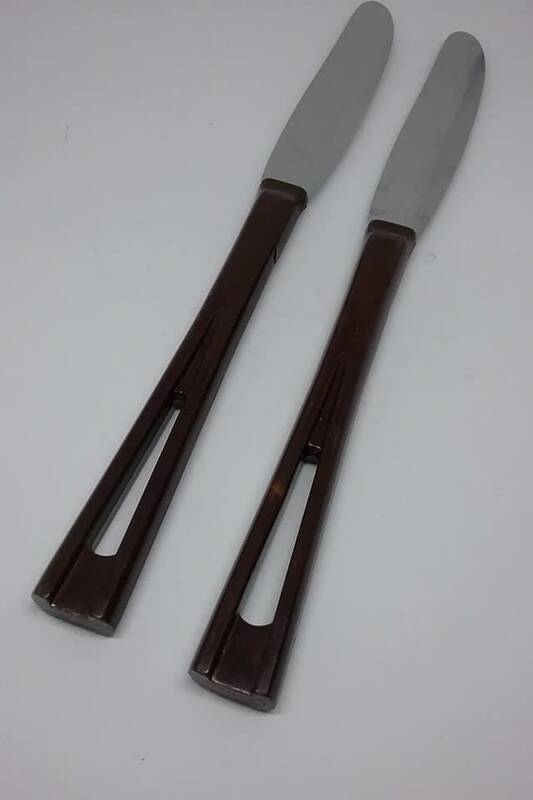 Handles are a dark brown and look very mid-century mod. 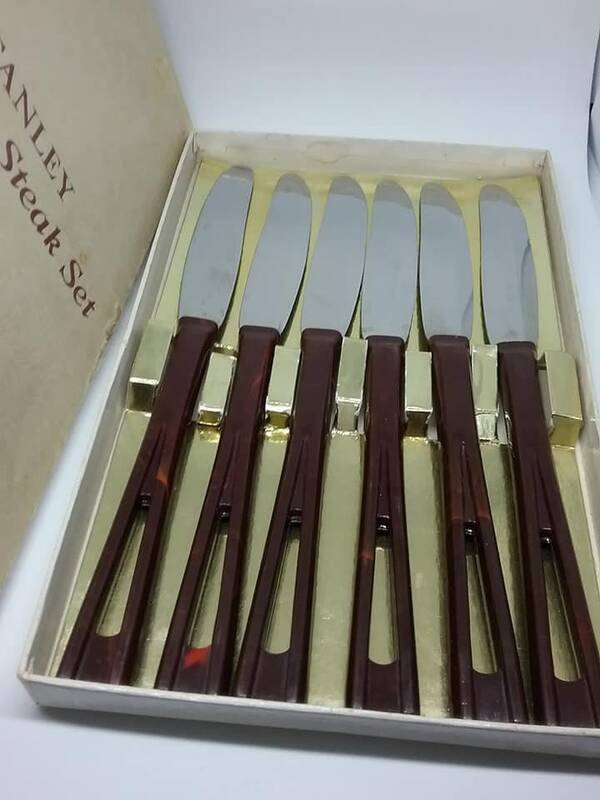 They are in very good vintage condition. 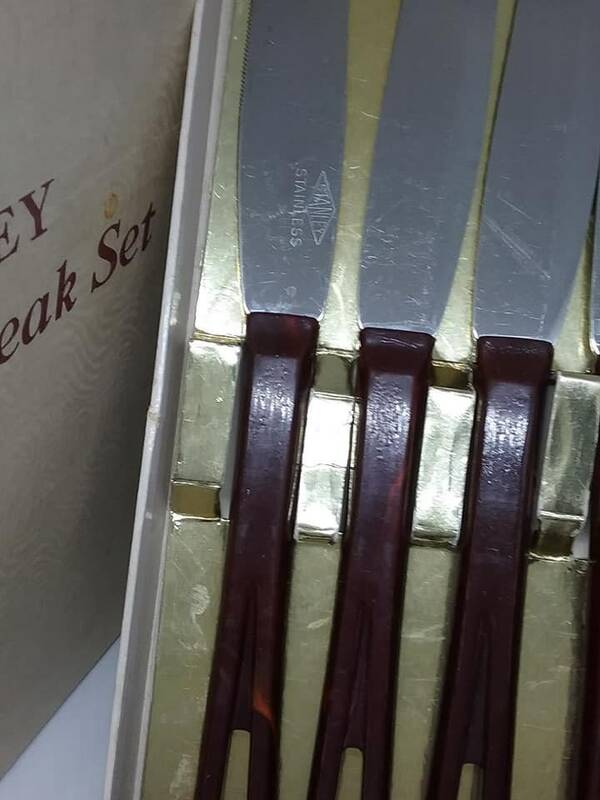 In original box, which does show its age. 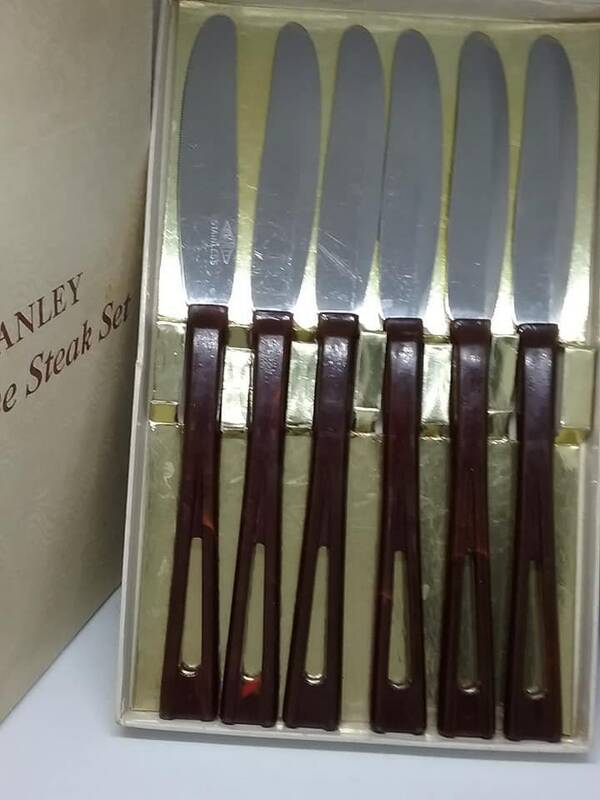 Set of 6 with plastic art deco handles. 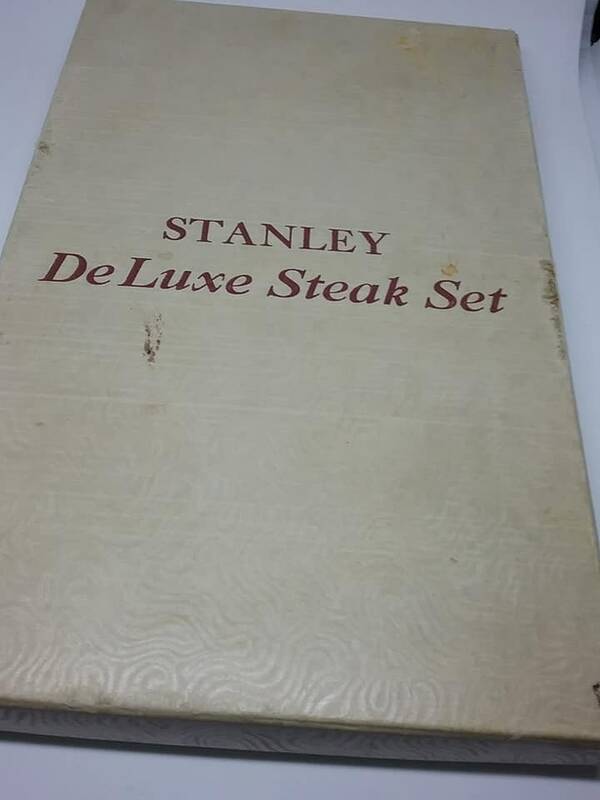 Would make a unique Father's Day gift, or displayed in your mid-century mod decor.